See Also: Live Action Exclusive Attack! In Brief: While still not having awakened yet, Sailor Jupiter was still able to create a new powerful attack with the assistance of her Jupiter Star Tambourine. Cultural: "Thunder Sometimes called the voice of God, as used frequently in the Old Testament and the Apocalypse. With the Romans it was popularly considered a manifestation of Jupiter Tonans -- hence the name thundering Jupiter. Apart from its physical relations, and as one of the phenomena of sound, it may be considered a manifestation of the fifth cosmic element, akasa, whence sound is born, it being understood that what our ears feel as sound is a sense interpretation to us of vibrational effects. Science appears to identify sound per se with the merely vibrational effects which accompany it or are caused by it, or even at times evoke it." The Move: Sailor Jupiter places her Star Tambourine in front of herself with her right hand and shakes it which activates it's powers. She then draws it over her head in a giant circle as lightning sparks from it in all directions as the tambourine continues to glow it's bright green power. Once complete she draws it up next to her face and shakes it which releases golden waves of energy. She then thrusts it out in front of her which releases a super powerful lightning blast. 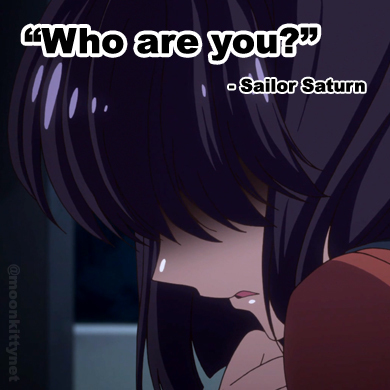 "What happened to Luna, Artemis, Diana and Serena's family after Sailor Stars?" 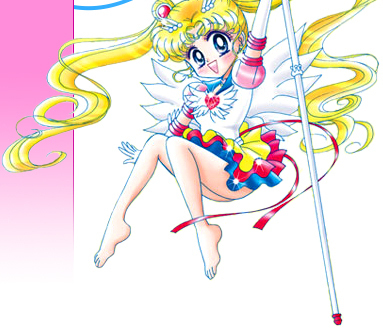 "Do you prefer Usagi (Serena) with Seiya or Mamoru (Darien)?"